A loved one was recently diagnosed with cancer and you aren't sure the best way to help. Surely there’s something you can do besides bringing a frozen dinner? How to Help Someone With Cancer: 70 Ways to Help Cancer Patients and Their Families During Cancer Treatment, by Shannon Benish, can be your guide to practical ways you can help a cancer patient as they are progressing through treatment. You may feel you don’t have the time, energy or resources to be of much help, but these 70 recommendations will provide affordable and manageable suggestions to help form your action plan. Advice on how to help patients traveling for treatment. Suggestions for both adult and pediatric patients. How to help families and caregivers. What you can do if you live in a different town or state. You have the power to make a difference in a cancer patient’s life. These simple suggestions will allow you to help relieve the patient’s worry and frustration, freeing them to focus on rest, gaining strength and healing during this difficult time. 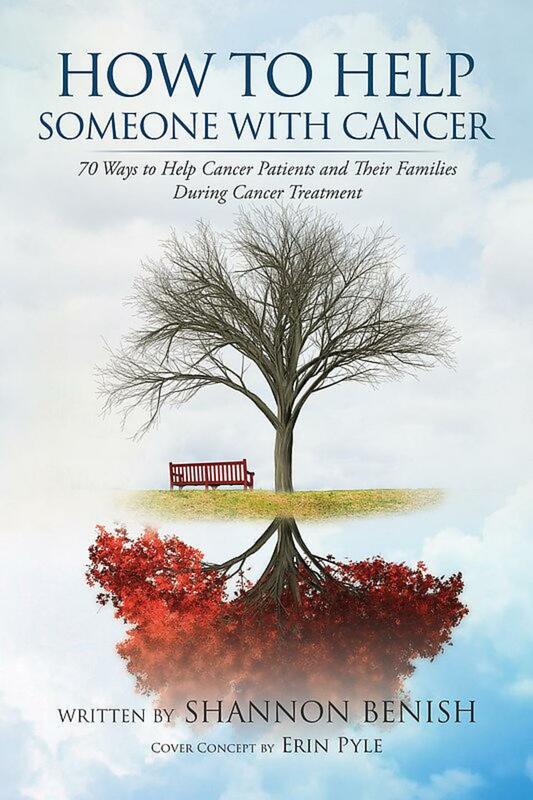 What a wonderful book to help those who want to support and care for loved ones with cancer. Many thanks for sharing your wise words with us, Shannon Benish . You are an amazing lady!